We’ve come up with the visual identity and communication campaign for this excellent socially responsible project run by the Scouts Association of Croatia, while BooBoo, the renowned Croatian illustrator who lives and works in Berlin, takes the credit for illustrations. 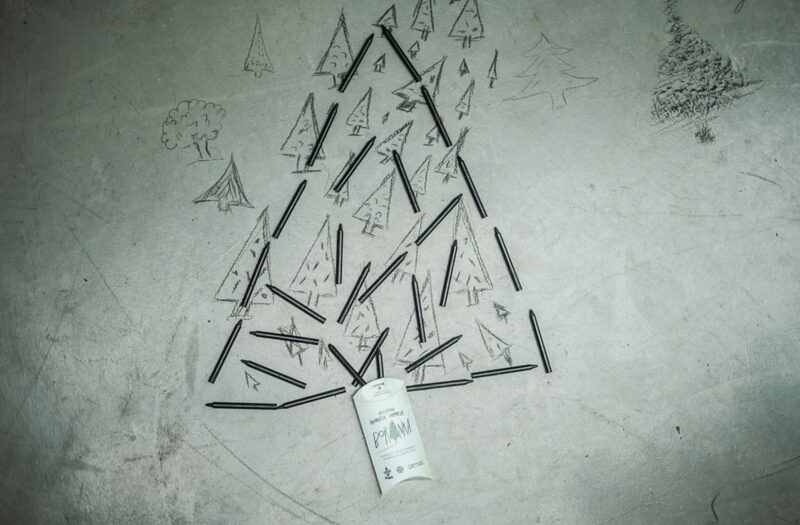 The campaign envisages that the trees burned down in summer wildfires are used to make a black ash which would thereupon make a one-of-a-kind ingredient in producing crayons called Boralice. As of 14 September 2018 over 100,000 boralice will be given away free of charge to readers via the 24sata print edition. 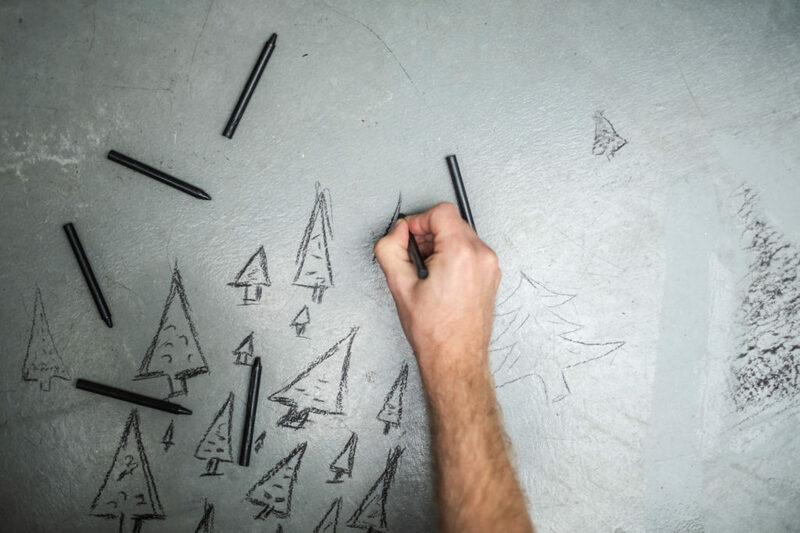 They will be able to draw their very own tree, take a photo and upload it to the website www.boranka.hr. 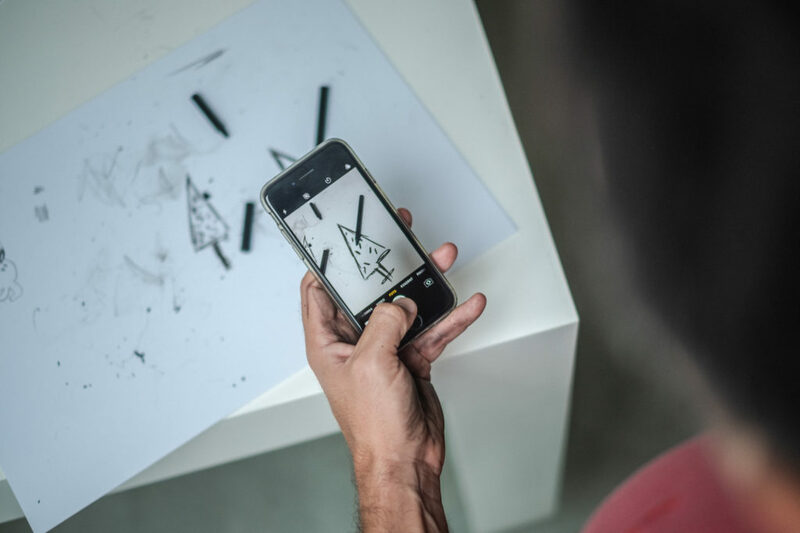 By doing so, they take part in creating a virtual forest. The more the virtual forest grows, the more real seedlings are planted by Scouts’ volunteers in the wildfire sites surrounding Split and Solin. This way the burnt black charcoal is symbolically utilised to make a new tree and return the green colour to blackened wildfire sites. 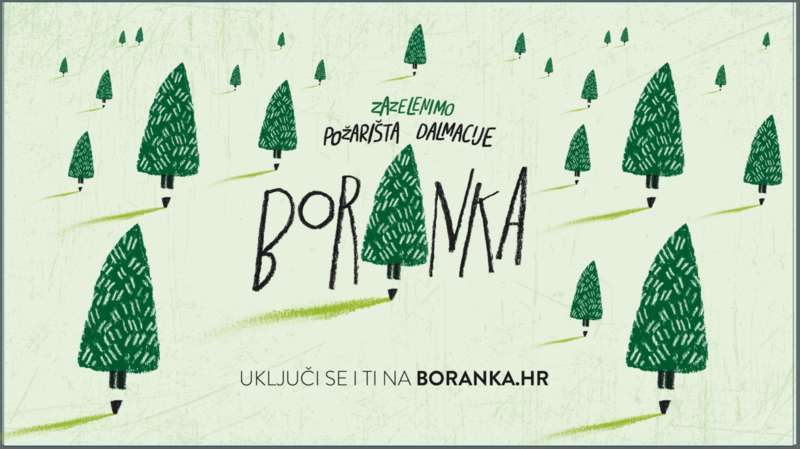 That’s the beauty of Boranka, the only colouring book that brings life back to wildfire sites. The website was designed by agency Degordian, while the biggest sponsors that have supported the project include: Tele2, OTP banka, Karlovačko pivo, Arriva and Karbon, which made Boralice. The media sponsorship is provided by 24sata. ‘This is the kind of campaign that will merge the online and offline worlds. Most campaigns convey their messages by telling a story that is most commonly intangible. ‘This campaign provides us with an opportunity to include thousands of volunteers in the planting action with many of them planting a real tree for the very first time. Nature conservation and these afforestation actions come naturally to us scouts because we know that once you plant a tree yourself, you will treat nature and the environment better. I am glad that a truly remarkable number of partners and sponsors recognised this project’s value and that this is set to be one of biggest volunteer campaigns in Croatia’s history.’ – Dan Špicer, business manager of the Scouts Association of Croatia, had to say.